Happy Wednesday AJVD fans!!! 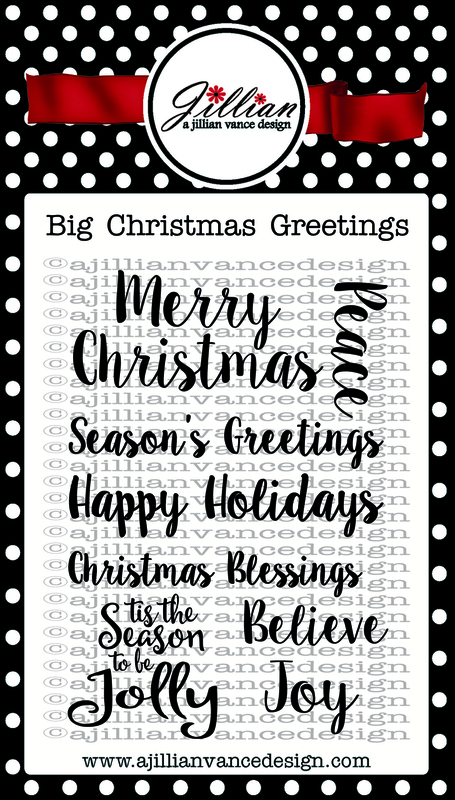 Rosemary here with a Christmas card I made using a new A Jillian Vance Design set called Big Christmas Greetings. I'm lovin' this new set. 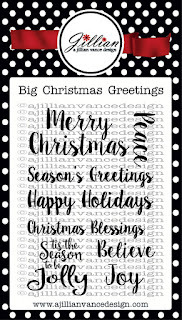 It has lots of big, bold Christmas/holiday sentiments in a really fun, trendy font style. I wanted to let the sentiment shine so I kept things pretty simple. 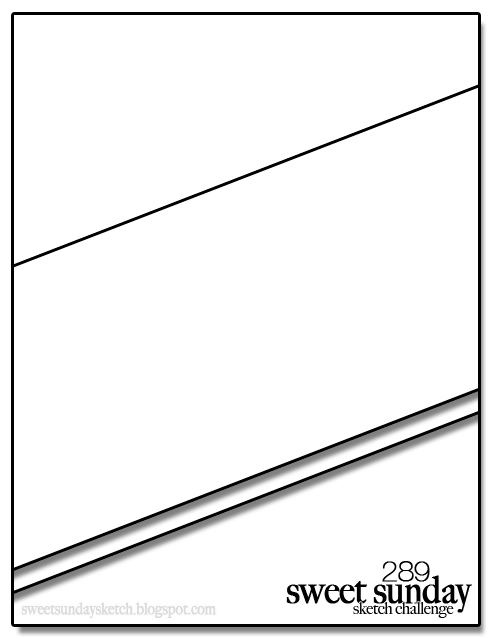 I used the layout from Sweet Sunday Sketch so I will be linking this up over there. 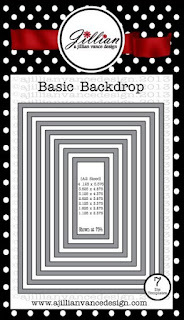 I used the largest die in the Rectangle Backdrop dies set to cut a panel from white cardstock. A second panel was die cut from patterned paper using the largest die in the Polka Dot Backdrop Rectangle dies and adhered to the white rectangle. I just love the crisp clean look this provides! A strip of white cardstock was cut and stamped with the Merry Christmas sentiment in red ink, a small border of green cardstock was adhered to the back and the piece was adhered to the main panel as shown. 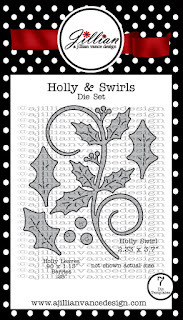 I die cut some holly leaves and berries using the Holly & Swirls die set and added them as you see. The entire piece was mounted on a light grey cardstock base and I was done. 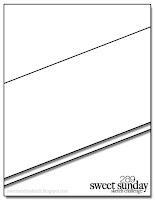 A very simple design and one that could easily be mass produced. Wow Rosemary, this card is gorgeous! 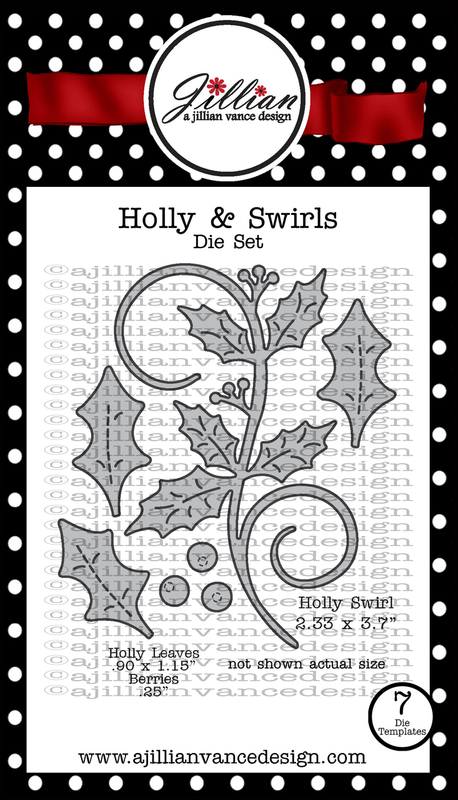 Love the font on the sentiment and the pretty holly leaves! This is beautiful Rosemary!! Festive & beautiful! Love all the elements! Beautiful card. So it on Sweet Sunday Sketch so had to tell you how much I like it. 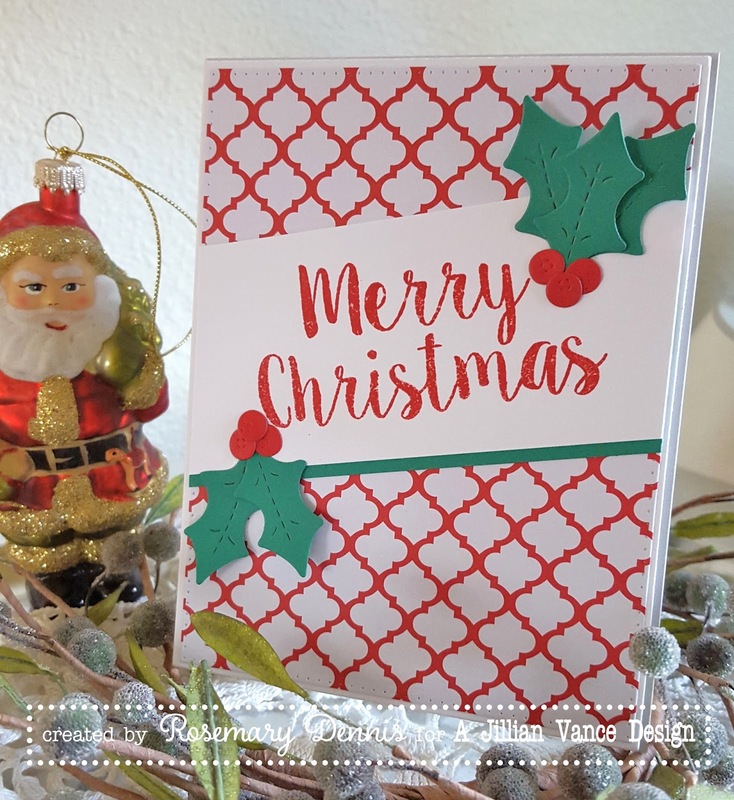 Beautiful card, Rosemary! Fabulous take on the sketch, and I love how you placed the holly and berries!